Sauerbraten literally translates to sour roast meat. While usually referring to beef, it can include venison, lamb, mutton or pork (and even horse in the old days). Normally, tougher cuts of meat are used. They are allowed to marinate for 3 to 10 days in order to tenderize the meat. Since chicken is not a touch cut of meat, we can reduce the amount of time it needs to marinate down to one day. As far as I can tell, this recipe is pretty authentic minus the juniper berries which can be difficult to find. Combine water, red wine vinegar, apple cider vinegar, bay leaf, peppercorns, cloves, salt, onion, and lemon in saucepan. Bring to a boil, cover and simmer 10 minutes. Remove from heat and cool. Remove 1 cup marinade liquid (try not to get any solid pieces), cover, and reserve in refrigerator. 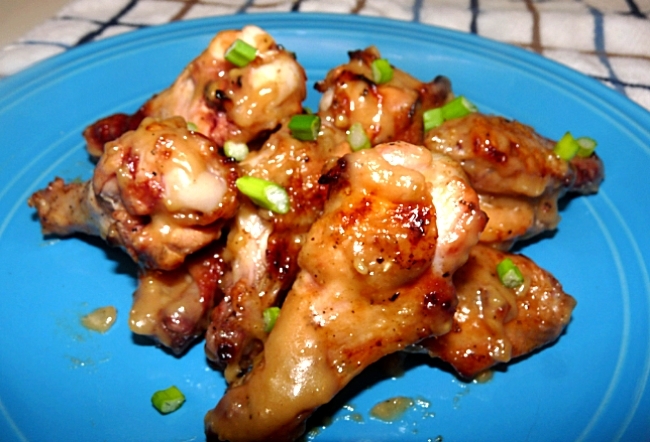 Place wings in a Zip-Lock bag and pour remaining marinade over. Seal and refrigerate overnight. Set up grill for an indirect cook and pre-heat to 400 degrees F. Remove wings from marinade (discard marinade), shaking a bit to remove any excess liquid. 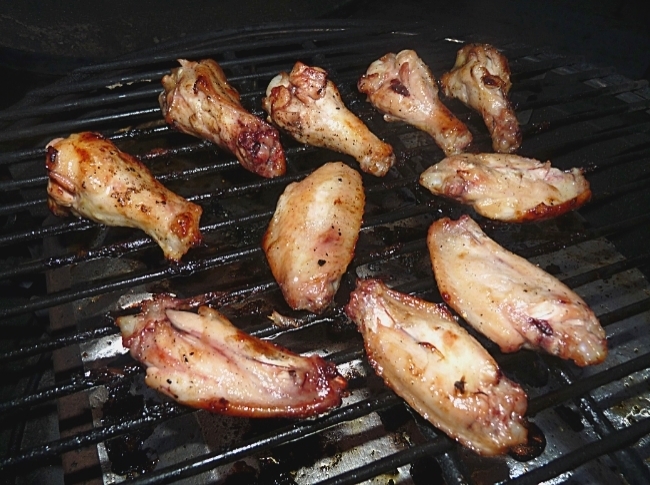 Place wings on grill, sprinkle with coarse salt and fresh ground pepper, and cook for about 30 to 40 minutes, turning once halfway through. Times may vary due to size of wings and different grills. Make sure to cook them to a minimum of 165. Towards the end of cooking, melt butter over medium heat in a saucepan. Add flour to butter, stirring until flour begins to brown (should be golden brown in color), about 3-4 minutes. Slowly add the reserved 1 cup marinade and stock, whisking until smooth and slightly thickened, about 2-3 minutes. Add ginger snaps, whisking until dissolved. 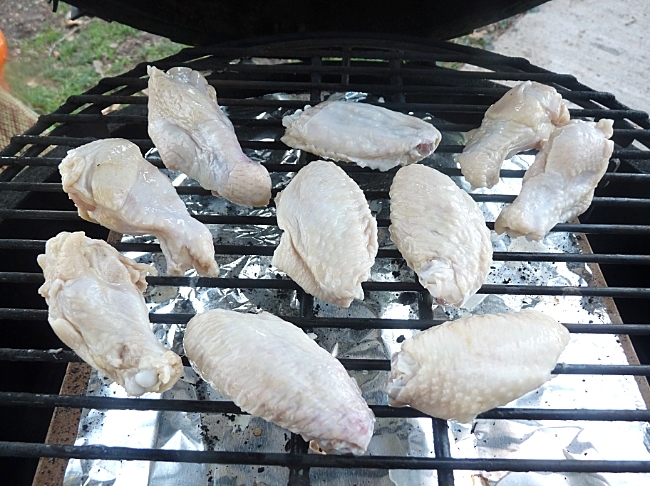 When wings are cooked, remove from grill to a bowl or serving platter. Pour 1 cup of sauce over wings and toss. If desired, add remaining sauce (about 2/3 cup) or serve passed as dipping sauce with wings. If you like, you can go ahead and pretend I served up these sauerbraten wings with some authentic German sides like Kartoffelknoedel (potato dumplings), spaetzle (a type of egg noodle that is to die for), Rotkohl (red cabbage), boiled potatoes or potato pancakes and a nice, cold pint of German beer. I don’t mind. No need to admit I ate it with tater tots and a bourbon and Coke. This was quite an unusual twist from the normal wings. There was no heat involved. Instead, it had a nice mixture of sweet from the ginger snaps and sour and tang from the apple cider vinegar and red wine vinegar. Definitely an interesting change to what most have come to expect from wings. 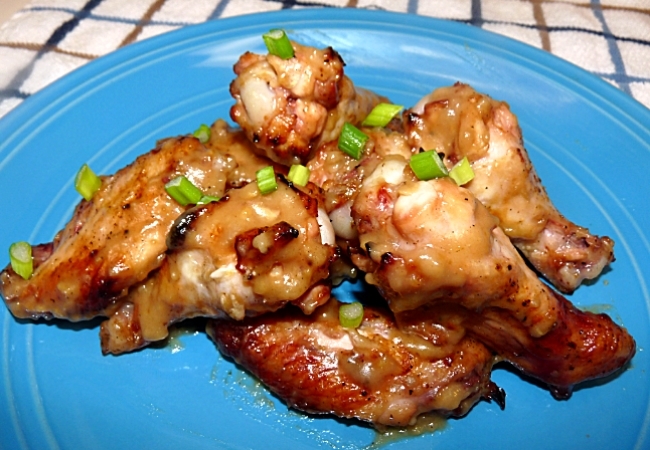 While not my favorite wing recipe, I’ll be making these again. Especially next fall when Oktoberfest rolls around. My wife being German will probably like these, I’m going to give it a run and surprise her and see. Considering we both love wings, the worst that can happen is we put them into the Octoberfest rotation as you said. Keep up the good work. Hey Mr. G… another great recipe – thank you. What is the green stuff sprinkled over the wings? That was some green onions that I grabbed at the last minute and cut up to add some color to the dish. Wasn’t in the recipe, but figured it wouldn’t hurt and we eat with our eyes first, right? Let me know what she thinks of them. The ginger snaps really threw me off but I like that twang from the marinade. The ginger snaps add some sweetness and help thicken up the gravy.